This is a book club for middle schoolers looking to discuss books & enjoy a related activity. 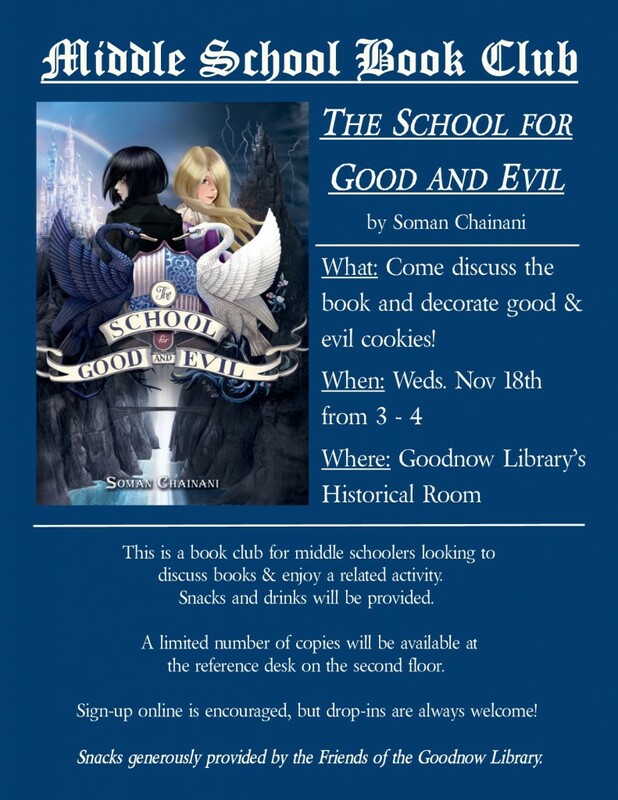 Our first book will be The School for Good & Evil by Soman Chainani. We’ll talk about the book and be decorating good & evil cookies! We’ll also use this meeting to pick a name for the group. Snacks and drinks will be provided. A limited number of copies will be available at the reference desk on the second floor. Sign-up is encouraged, but drop-ins are always welcome!